Newcastle boss Rafael Benitez has brushed off criticism of his defensive tactics against Premier League pacesetters Manchester City as he plots victory over Brighton. Benitez's tactical plan, which very nearly earned the Magpies a point against the leaders, was roundly criticised by television pundits with former Manchester United defender Gary Neville labelling the first half-hour "embarrassing". However, the Spaniard was unmoved as he turned his attention to a game he believes is eminently more winnable. He said: "I didn't hear any criticism from my players. "I was talking with an ex-player who is a pundit now and I was asking him if he wanted to be a manager. He answered: 'No, it's too much responsibility, so I prefer to be a pundit and you can say whatever you want and nothing happens'. "I can understand the job of the pundit, to create things that you will ask me about in a press conference for the audience. "We are managers, we take responsibility for our decisions. We were nearly there [against City]. Imagine if we scored a late goal, everyone would be saying: 'Fantastic, perfect'. "I've seen a lot of teams doing the same against Manchester City and nobody was criticising them." 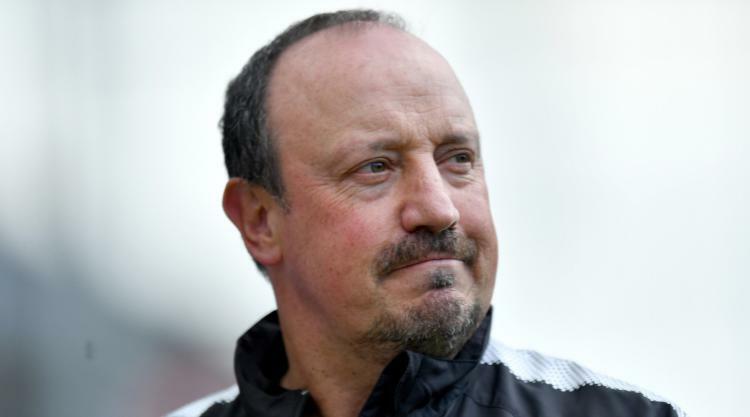 Benitez will take a different approach as the two sides which battled out last season's Sky Bet Championship title race go head-to-head at St James' Park, and he will hope they edge this game as they did that duel. He said: "We want to win and we think we can win, but Brighton will be thinking exactly the same. We'll try to score goals and play at the level we did at West Ham." The fixture is the first of three against sides also battling for top-flight survival, with Stoke and Swansea to come either side of the FA Cup third-round clash with Luton. He said: "These are the games where people expect us to compete and to win, so my concern is to approach the games with the belief that we can win." Benitez has been dealt a blow, however, by the news that keeper Rob Elliot will miss out with a thigh problem and Karl Darlow, whose brief return to the first team was littered with errors, is in line to deputise once again. Midfielder Isaac Hayden is available after injury, but defender Florian Lejeune and striker Aleksandar Mitrovic are still sidelined.